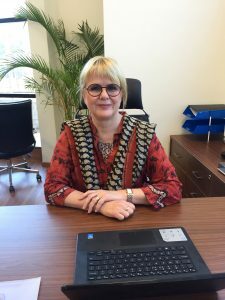 My name is Kiki Jerneheim and I am Academic Director/Head of school for Kunskapsskolan Bengaluru. I came to India in January 2017 to start Bangalore’s first school in the chain of Kunskapsskolan schools that now exist in India. First and foremost I am a mother of four grown up children who are all into medicine. I also have five beautiful grandchildren. They all live in Sweden. I have worked as an educator for twenty years, twelve years as a school leader. I have been with Kunskapsskolan, Sweden for the last ten years as a Principal, understanding that all children are equal but every child is unique with different talents and different ways of learning. At Kunskapsskolan students set goals for their learning in every subject. The goals have to be clear, challenging and also realistic. With the help of their personal coach, who is also a teacher, the students will be able to reach their goals and also reach further than they ever thought possible. After the success with our two schools in Gurgaon and seeing them grow I am happy to be heading the first Kunskapsskolan school in Bangalore. The campus of more than five acres and the concept of a day boarding school with a Life skills program together with the strong Indian national curriculum CBSE and the Swedish teaching methodology, the KED-program, our students will be ready to face the challenges of today and shape the world of tomorrow.